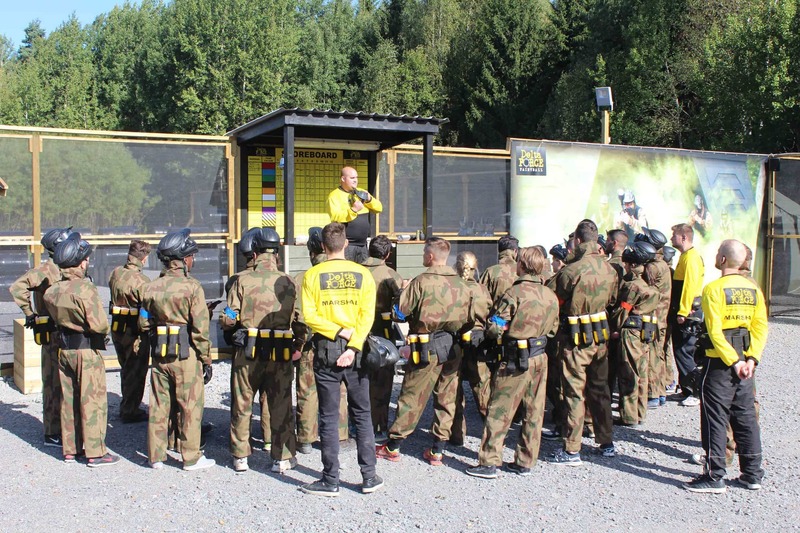 Many first time players may feel overwhelmed by their first paintball experience at Delta Force Paintball, but there’s no need to worry, the majority of people are novice players so everyone is in the same boat. Our friendly staff are on hand to help you throughout the event and provide guidance and tactics to help in all aspects of the day including how to wear your paintball gear and tips to give you the winning edge on our paintball game zones. There are many ways to prepare for your paintball event, but we’ve compiled the most important Dos and Don’ts to ensure you’re prepared for a full day of action and adventure at Delta Force Paintball. Read through your booking confirmation and event guide so you are familiar with how the day runs as well as what to wear paintballing. You can also forward this on to other members of your group so you arrive prepared. Pay attention during the morning safety brief. The centre manager will relay important information about the days’ event as well as sneaky manoeuvres to use in our themed game zones. Always wear your paintball goggles at all times when you are outside of the base camp. Our full head helmets provide 360-degree protection and ensure you play in comfort. We take your safety seriously at Delta Force Paintball. Listen to the manager and marshals at all times, they will provide you with assistance, allowing a stress-free experience. Remember paintballing is a fun sport, and it’s important to look after yourself out in the game zones. It’s a great idea to do a light warm up or stretches before you get amongst the action. Communicate at all times with your teammates – this is a vital tactic needed to ensure a victory on the battlefield. Paintballing is a team sport so you need to work alongside with your teammates to secure a win. Make paintballing a regular activity! No prior experience is necessary, and our full days out represent great value for money. Our events cater for players aged 8+ years and are great for celebrating a birthday party, planning a team-building event or arranging a stag or hen experience. Don’t remove your goggles at any time during the games. This game rule safeguards all players and anyone who fails to comply will be removed from the games for the rest of the day. Don’t get caught out in the middle of an epic battle and run out of paintballs or paintball grenades – this will hamper your fun and jeopardise victory for your team. Always stock up during the breaks between games and make use of battlepacks to carry extra ammo. Don’t be afraid, paintball is a fun sport and is enjoyed by novice and seasoned players alike aged 8 years up. Our exciting mission scenarios will entertain and thrill over the course of the day, and trained marshalling staff ensure you remain safe and have fun. 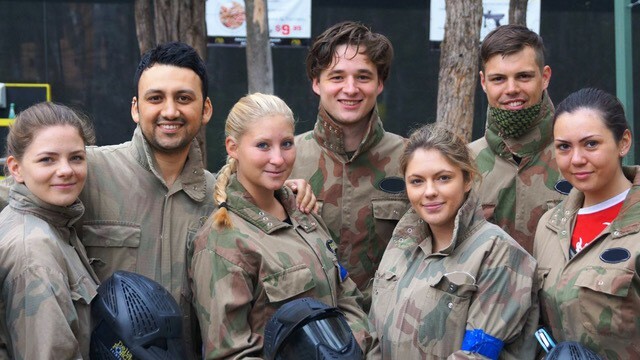 If you’d like more information on how to book a fun day out paintballing for a birthday celebration, corporate team building event or a fun day out with friends and family, contact an event coordinator on 0203 869 9301. We’re available 24/7 to help you plan your event and answer any questions you may have about paintballing with Delta Force Paintball. Alternatively you can also request a call back from us, or complete your paintball booking online.